Please fill out all forms. The Great Commission tells us to “Go ye into all the world, and preach the gospel…” We aim to follow this command both in our local community as well as throughout the world. The evangelism committee organizes the evangelistic outreaches in our community. Activities include distributing welcome packets to families moving into Menomonee Falls, coordinating meals for church members’ special needs and planning outreach events such as Ultimate Frisbee, National Day of Prayer, Friendship Day, Men’s Steak Dinner and Ladies Luncheon. Our church also participates in Good News Clubs in area public schools in Menomonee Falls, Hartford and Erin. Good News Club is a ministry of Child Evangelism Fellowship in which trained teachers meet once a week after school with groups of children. The weekly session includes an exciting Bible lesson, songs, Scripture memory, a missions story and games focused on the lesson’s theme. Calvary has the blessing of leading a service the 4th Monday evening of each month at the Milwaukee Rescue Mission. We are able to minister to physical needs by donations of clothes and books from the church, but most importantly we minister to spiritual needs through the service. The service includes singing, testimonies, music and preaching. We also focus time on praying with the men for their prayer requests. This is a great ministry opportunity for everyone at Calvary. We support a number of missionaries around the world in Thailand, Brazil, Ukraine, Central Asia, Barbados and South Africa. We also support missionaries here in the USA in states such as Utah, Indiana, Michigan, Illinois and even here in Wisconsin. Every October, our missions committee organizes a missions conference where we have the pleasure of meeting a different missionary every Sunday morning and evening throughout the month. The conference concludes with a Faith Promise service and a potluck luncheon. Calvary Baptist Church also stresses that we’re all missionaries in our schools, homes and workplace…wherever we go and in whatever we do. Every year Calvary Baptist Church hosts an Annual Ultimate Frisbee tournament usually either at the beginning of August or end of July. 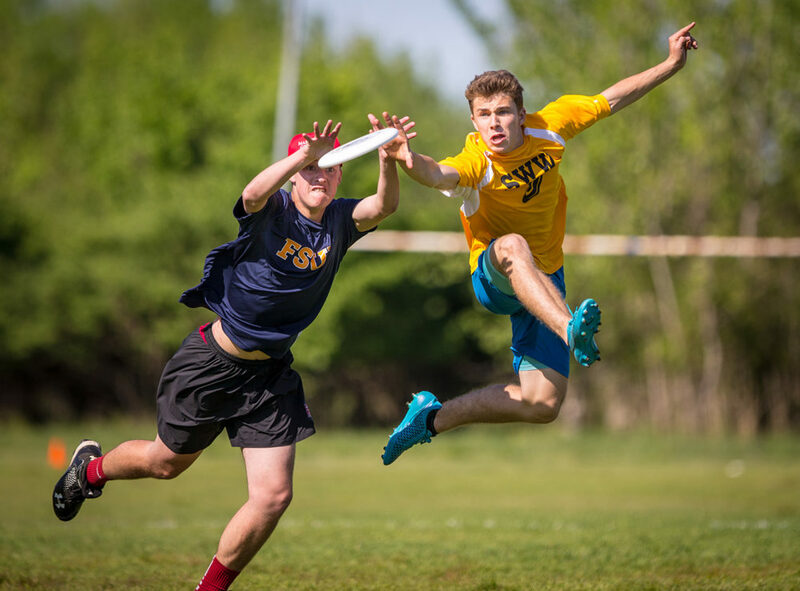 This year’s Ultimate Frisbee Tournament is July 28th at 8:30am. Prepare yourself for some fun, food, and fellowship!